The Senate inquiry into the prevalence of dowry abuse in Australia has published its recommendations, identifying dowry extortion as a direct cause of "family violence, murders and suicides in Australia" but rules out any specific law for criminalizing dowry. "I saw that really from a wide range of participation of women and community organisations who have been supporting and interacting with both men and women who have been affected by these issues ... I can say that this is certainly big enough for us to take it seriously as an issue that needs legal and policy reform in Australia. It is now time for a national discussion about this kind of violence and abuse." In a interview with SBS Punjabi, Senator Loiuse Pratt, the Chair of the Senate inquiry into the prevalence of dowry abuse in Australia, talks us through the recommendations made by the committee, and has commended SBS Punjabi's role in sparking a national discussion on the extent of dowry abuse in Australia. One of the inquiry's key findings is the recommendation that the term 'economic abuse' is included as a form of family violence under the existing Family Law Act 1975, acknowledging that the practice is “undesirable in modern Australia.” The report suggests federal government work with states and territories to harmonise existing legislation. Anti-dowry campaigner Dr Manjula O'Connor believes dowry abuse plays a significantly adverse role in promoting domestic violence within Indian migrant families living in Australia. "The committee is also mindful that the criminalisation of dowry in India does not appear to have been particularly effective in preventing dowry abuse, and that the Indian law has been the subject of misuse and extensive criticism." "In doing so, the committee considers that there is no benefit for society in creating a system that fosters false and vexatious complaints - often against men - when marriages break down as appears to be the case under the current Indian law. In a significant step towards protecting the rights of women on temporary visas, the committee has recommended the creation of a temporary visa - for example a 'Woman at Risk in Australia' visa - to be available for non-family temporary visa holders who have suffered serious and proven family violence including dowry abuse. This would include female international students or women on sponsored visitor visas. Indian nationals are receiving more visas under family violence provisions than any other nationality, according to figures from The Department of Home Affairs obtained by SBS Punjabi. But social workers say the Indian community is under-reporting incidents of family violence. While the committee acknowledged overwhelming evidence that women are the major victims of dowry abuse, it also received evidence that "numerous men within the Indian community have ... been falsely accused of dowry abuse by their former wives, or are themselves victims of ‘reverse dowry’ abuse." As a Senate inquiry currently underway looks into the practice and abuse of dowry against women in Australia, there are also men whose stories have not been told. - It has further recommended that the government must engage with all organisations and frontline workers to develop ongoing education and raise awareness on the subject. - The committee has reiterated the need for service providers to understand “culturally-specific forms of domestic and family violence” to ensure adequate protection is provided to all victims. - As part of the initiative to raise awareness, the committee has proposed that a ‘Family Safety Pack’ is provided individually to all visa applicants in their first language, such as during the health examination required as a condition of their visa application. Senator Louise Pratt says it's very clear that the Indian law preventing dowry hasn't worked. "Dowry abuse is still practised in India and in addition we certainly also have examples of men falsely accused of dowry abuse put before the committee including examples of Australian men who were Australian citizens, but what we need is a very clear sense of where and whom to harm is occurring in terms of that abuse and a good law should be able to do that. "There were very very sad examples on both sides and in that sense we need to make sure that dowry abuse does not happen in either direction." 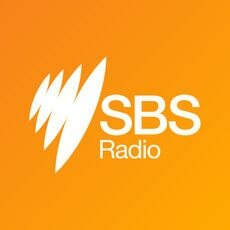 Listen to SBS Punjabi Monday to Friday at 9 pm. Brisbane-based social worker Jatinder Kaur believes female international students and others on temporary visas facing domestic abuse, receive no help from government-run services because of their visa status, and is calling on the Senate inquiry looking into dowry abuse in Australia to "recommend changes to the Migration Act to extend help to these vulnerable women." At a time when Indian advocacy groups are mounting pressure on the federal government to enact laws against dowry abuse, many community leaders and professionals say that new laws are not needed. Ritu, Priya and Kamal* are three of many Indian-origin women living in Australia who claim to have suffered dowry-related abuse, resulting in what they describe as personal and psychological trauma due to continuous monetary demands. Is the dowry a catalyst for domestic violence?